David Tourigny joined the Green Lake Aqua Ducks (GLAD) as Head Coach in June of 2007. His aquatics career includes swimming and competing for the Lake Stevens Swim Club (LSSC), O’Dea High School, Cascade Swim Club, and Western Washington University Swim Club. His coaching experience includes the Green Lake Gators, Western Washington Swim Club, Lynnwood Sharks, and WAVE Aquatics. He is currently the Head Coach of Storm Aquatics (a USA Swim Club) as well as GLAD. David enjoys coaching all ages and abilities of swimmers always striving to help them reach their goals. As far as working with adults, David is dedicated to making GLAD workouts positive and challenging, and strives to help his swimmers improve their technique and endurance. He is a strong believer in the idea that swimming is a superb life-long activity. David is currently American Swimming Coaches Association (ASCA) Level 3 Certified. In his spare time David enjoys spending time with his wife, Brittany, and their young sons, Aiden and Noah, along with swimming, golfing, reading, and watching the Mariners, Canucks, and Seahawks. 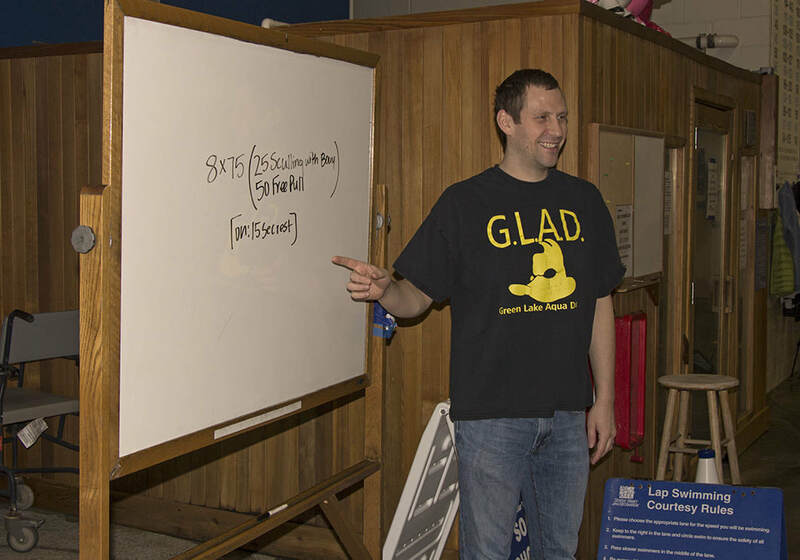 GLAD has built a core of dedicated club members who are both highly skilled swimmers and have earned their Red Cross Lifeguard and First Aid credentials. Each of them cover our Saturday workouts in rotation bringing their own or one of David's workouts to each Saturday session. See page devoted to Saturday workouts for more details and the schedule.